Film production is more than just a form of art. Behind all that aesthetics are unavoidable technicalities created to protect the rights of the film. 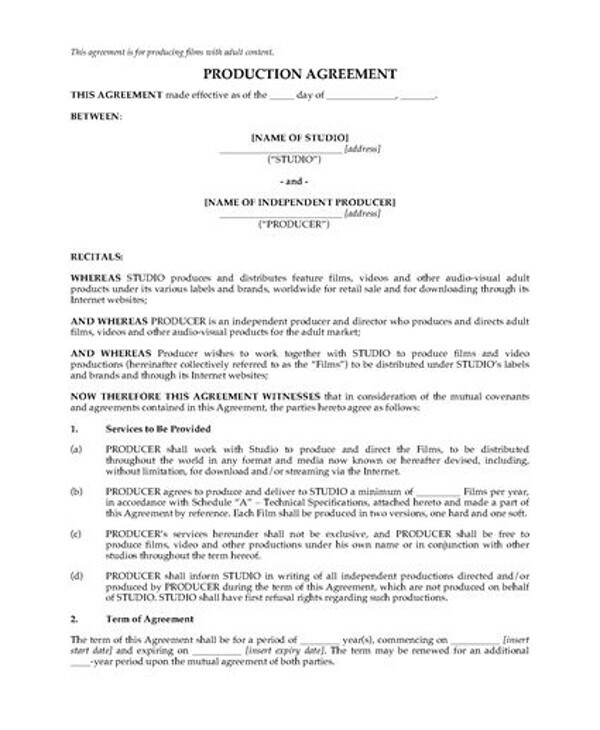 Film contracts and agreements exist to avoid miscommunication and all the risks that are present in every stage from pre-production to distribution. These documents need to be set in place with the production team, cast, and crew even before principal photography begins. You may also see production schedule examples. Contracts protect both parties, ironically, from each other. When producing a film, both parties have laid something important at stake, this being an asset that can be so easily exploited. As an attempt to protect its vulnerability, both parties should agree to create a clear legal proof of the agreements they have settled verbally. You may also see company contract examples. Sometimes, there are assumptions, even things misinterpreted. Contracts will clear all of this up. It helps make sure that everyone is constantly on the same page, at least, until after the project finishes. Contracts are also a strong show of professionalism. It shows clients that you are working with them for business purposes. This is such an important requirement for every collaboration that many would refuse to start working together with signing a contract to establish matters beforehand. You may also see maintenance contract examples. Service contracts are important for any business. They will outline the parameters of the job and cover the overall relationship existing between the parties involved. This is where everyone gets rid of any confusion or ambiguity. It adds credibility to the service provider and will communicate to the clients that they are working with a professional organization who is intent on doing the job the right way, starting with the necessary legal documents. You may also see nanny contract examples. A service contract is useful should something unfortunate happen. Its contents will help the parties determine the right steps necessary to move forward. Although everyone enters into an agreement with the best of intentions, there are certain things and situations that are out of everybody’s control. A contract will protect everyone from these things. Instead of allowing the professional relationship to be destroyed by the issue, should one arise, it can be dealt with by referring to the very same words that everyone has agreed upon. You may also see employment contract examples. Contracts are even more important for creative projects such as a film production because so much of the result is unknown. You might think that artists like scriptwriters and directors don’t need this, but they do. At the end of the day, these people still need to protect the products of their great minds. 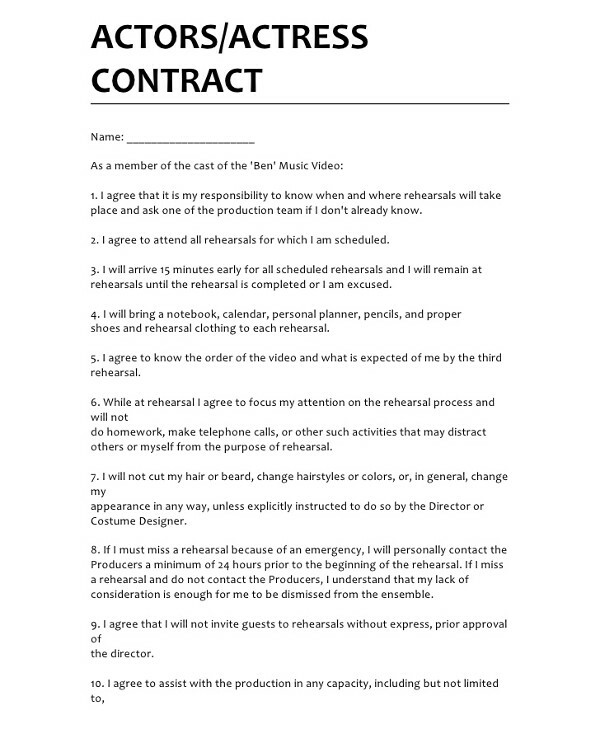 You may also see band contract examples. The MSA is the master contract that covers everything between you and your client. It is a detailed document that states who does what, who owns what, and when things are to happen and how (such as the payment). When you are working with larger clients, they will sometimes ask you to sign their contract. They usually make the terms too, which can be difficult if you are a smaller company or just getting started. This is where you negotiate. If there is any language in the contract that is partial to the other party, you need to explain why you need to have it changed and ask for edits. Without asking, you will get nowhere and be bound to their terms for the rest of your relationship or project. You may also see contract proposal examples. That’s the tricky thing about writing contracts. You need to make sure that its language will protect you just as much as it will protect the other party. Otherwise, you will find yourself at a disadvantage and incapable to do anything about it, since you have signed a document saying you agree to the terms. The MSA is only executed between you and your client, so it’s important to talk about all terms at the onset of your relationship. You mustn’t hesitate to negotiate. It’s a natural thing to do for professionals. You need to make sure that you will not be at the lower end of the bargain when push comes to shove. This agreement should set a healthy foundation for your relationship with these people you are about to work with. You may also see business contract samples. The Statement of Work (SOW) is attached to the MSA. It will cover each project individually. This document is more job-specific than the MSA. It will cover what the scope is for the project. The SOW will cover what film you are shooting, where, the number of shoot days, what is being delivered, when payment is due, and any other additional notes that are project specific. The SOW will also cover the variables that will change from project to project. You may also see sports coach contract examples. Since a film producer and maker can’t be expected to be a legal expert at the same time, asking for legal counsel is preferred, especially for complex situations where you think your knowledge is inadequate. Having a relationship with a lawyer is never a bad thing. You never know when things could get sticky, and having someone to help you get out of that is always preferable. You may also see child care contract examples. Getting to know your lawyer will give you a lot of benefits in the long run. As your business grows, it would be nice to have someone to call on who is already familiar with your line of work and the cases you often find yourself in. When negotiating an MSA with a new client, it’s best to let the lawyers do the talking. Your lawyer will, naturally, have your best interest in his mind. You can trust him to talk to your client’s lawyer about all the sensitive subjects involved in the agreement. If you remove yourself from these “talks,” you can focus instead on creating a great relationship with your new client and focus on the creative opportunity in your hand. 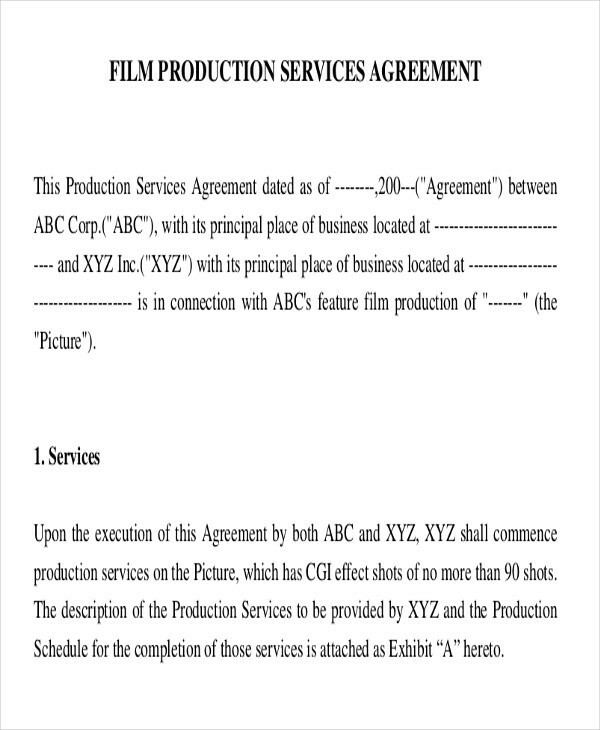 You may also see writing contracts examples. Naturally, you would want a good lawyer to handle all of your cases and agreements. The best way to find a good lawyer is by asking around. After all, word of mouth is the most reliable form of advertisement and the only reliable marketing you can trust. Ask a friend, people you know, colleagues or peers in the workplace. You can even ask your competitors since surely they’ve had the same dilemma. 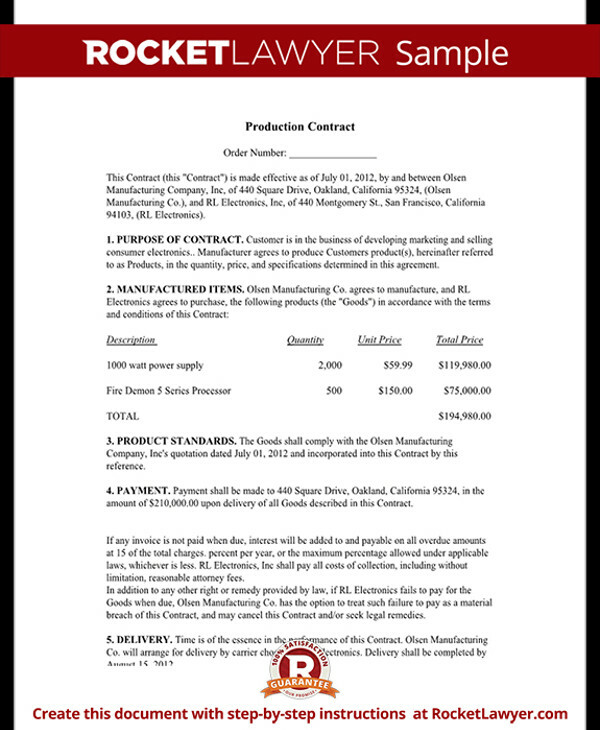 You may also see purchase contract examples. Lawyers who are referred by any people whose opinion you can depend on are often worth the investment. It’s a lot like hearing a friend tell you about this amazing Italian restaurant downtown. Since you know your friend has personally tried their food, you’d be more confident that you’d enjoy the dining experience yourself. Whatever means you will use to find a good lawyer, the point is to remember that having one even before you need it is always better than needing it and not having it. You may also see payment contract examples. 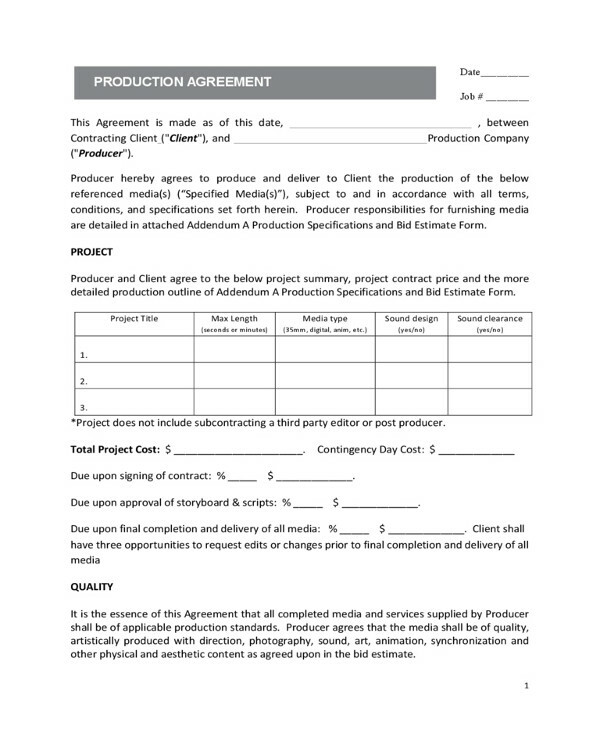 A production agreement is a specific type of service agreement whereby one entity (the production services provider or producer) contracts to produce an art or media project for the client. This document can be between large entities, like two big companies, or they can be between two individuals, often a small client hiring a small producer. You may also see investment contract examples. 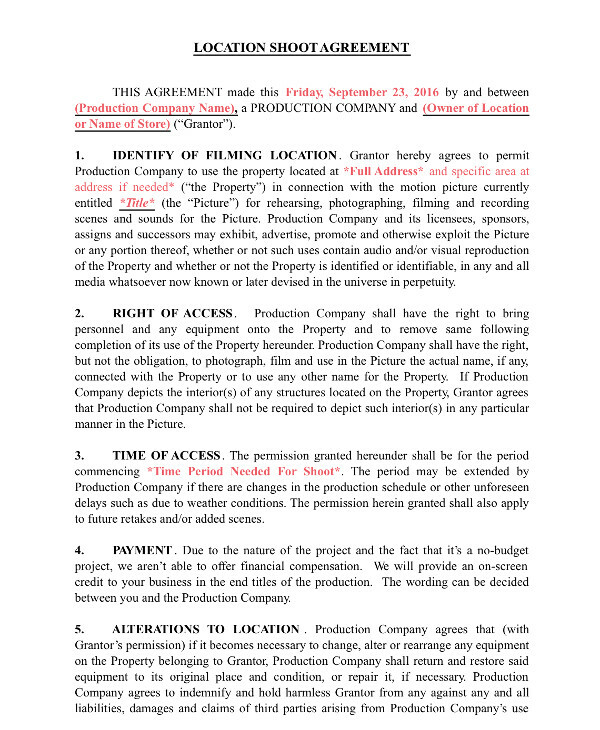 Production agreements tend to include provisions that allow specificity to develop around the relationship. For example, the project that the two parties will be working on is described, but so are any required specifications. It will also contain business-oriented provisions required, like the payment structure. You may also see management agreement examples. 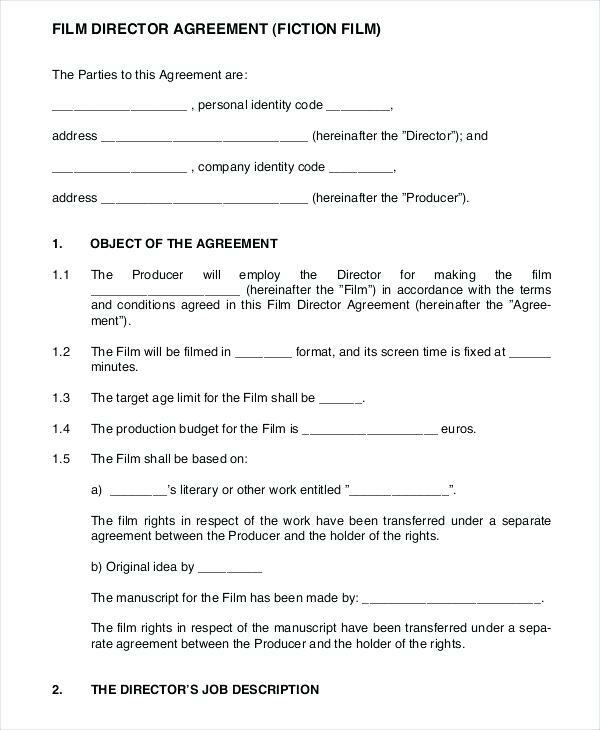 This document should be used when two parties are looking to enter into a production agreement with each other, regardless of what the specific production is for. It can be used for any kind of art or media project and will outline the details of the relationship and understanding of the parties. You may also see termination contract examples. The document will contain the basic information, of course, such as the names and identifying details of the parties. From there, the document will start outlining the pertinent details of the contract, such as the project details, the fee structure, the project specification, specific clauses about marketing and royalties, and termination information. When this agreement is filled out, it is important that it is printed and signed by both parties, providing that each party own and keep a copy of it for themselves. The production agreement is generally subjected to the laws of the individual state and of the United States of America as a whole. It will follow general commercial contract rules, and failure to observe it can lead to serious implications. You may also see partnership contract examples. As we’ve already talked about, it’s important that the language of the contract will protect you and your client equally, that both of your needs, responsibilities, and expectations are observed and met in the contract. Before signing the document, you need to make sure that it has settled all of your concerns and all the important aspects of your professional relationship. You may also see real estate contract examples. What will you be providing to your client? It’s important that you and your client have a written document that will solidify all of the duties and tasks that they expect you to perform and the roles that you expect them to play in return. Since this is a mutual relationship that should be beneficial to both of you, you must equally settle an exhaustive list of the things that you expect the other to perform. You may also see employee contract examples. What constitutes a “final” or “accepted” deliverable? You don’t want to find yourself in the situation where you are expected to create and produce more than what you expected to do for them, so even before this relationship begins, it must be clear to both parties what product everyone is expecting to be produced from the collaboration. You may also see vendor contract examples. How will you be paid and when? Payment is often a sensitive subject that parties are often hesitant to discuss. However, even if film production is a form of art and something that you are passionate about, don’t forget that it’s still business and your team has mouths to feed. The exact amount of money you will get from this project must be clear, and the date of payment must be specified too. You don’t want to meet your end of the bargain but not getting paid for doing your job. By stating this aspect in a contract, you can be sure that you will be paid exactly when you expect to be. You may also see operation contract examples. Being professional means not sharing your client’s trade secrets with the world. This professional relationship will never survive without mutual trust, and an important ingredient to this trust is confidentiality. It must be legally and nonverbally agreed upon that both parties keep their silence about the secrets they learn about each other during the collaboration. You may also see family contract examples. Who owns what and when. You must make sure that it’s specified in the contract that the service provider will retain ownership until the job is paid in full. This should always be how you conduct business with other parties. Otherwise, you will have no leverage to get paid after delivering the final assets. Although it is your responsibility to have insurance in place, it’s still good to have this clause in the agreement. An indemnification provision is one that will protect you should there be any loss, damage, or liability incurred by another. You may also see rental contract examples. How long do you expect the project to take and key dates? You don’t want to invest too much of your precious time on this project, so make sure that the length of time that you will be working together is set and finalized. Specific dates will be helpful too. You may also see tutoring contract examples. What happens if a project is terminated? Contracts are meant to protect you from things that you cannot predict or control, and project termination is definitely one of them. Of course, you don’t want to end up with nothing after you’ve worked on the project. Make sure that you cover reasonable costs and commitments that are already scheduled. You may also see HR contract samples. A contract is created to protect you, but that protection will only extend as far as you decide it to be. Hopefully, these reminders and discussions are enough to equip you with the necessary knowledge you need to enter into a professional relationship with another party. You may also see project contract examples.